This beautiful volume celebrates one of the twentieth century's most important photographers, Dorothea Lange. Led off by an authoritative biographical essay by Elizabeth Partridge (Lange's goddaughter), the book goes on to showcase Lange's work in over a hundred glorious plates. 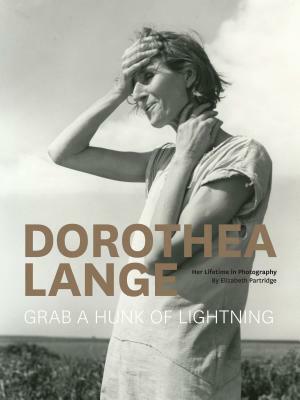 Dorothea Lange is the only career-spanning monograph of this major photographer's oeuvre in print, and features images ranging from her iconic Depression-era photograph "Migrant Mother" to lesser-known images from her global travels later in life. Presented as the companion book to a PBS American Masters episode that will air in 2014, this deluxe hardcover offers an intimate and unparalleled view into the life and work of one of our most cherished documentary photographers. Elizabeth Partridge is the goddaughter of Dorothea Lange and an award-winning author of numerous books. She lives in California. Dorothea Lange (1895–1965) produced some of the most beloved and recognizable images of American history.